While we may rarely buy them any more, magazines have been the iconic form of marketing. Their beautiful full spread ads and enticing advertorials presented brands as must-haves. And the banners excited us about new products. Marketing has long been about brands telling consumers what they should expect from them, only now the medium has shifted. Starting with his PhD in English Literature, Russ Rickey believed that digital will transform how we experience stories and the world around us. Now as Strategy Director for global agency Critical Mass, he uses digital to reinvent Fortune 500 brands so that customers are at the centre of an interactive narrative. On May 23rd he will be presenting about his experience as a Canadian redesigning American health care to put the customer first. The next BCAMA Thought Leadership event: Brand Experiences that Change People’s Lives will be held at the Vancouver Club (915 W Hastings) starting at 5pm and will feature executives from Aritzia, Briteweb, and Engine Digital. 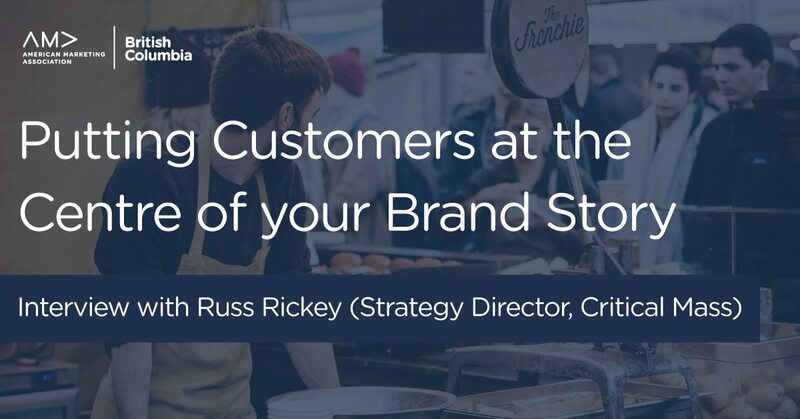 You’ll learn how brands can become more customer-centric and how digital can help you build stronger relationships with your customers. There are a limited amount of tickets for this rare evening event, we recommend you reserve your seat now. Tell me about being the Strategy Director at a globally-recognised agency leading Fortune 500 accounts, all while being based in Calgary. Russ: Where else do you start a global digital agency but in Calgary, Alberta? Critical Mass has been around since 1996, and I’ve been with them for 8 years now. It’s a pretty impressive success story. One of the founders originally started a CD-ROM company making interactive golf CD’s and had a pitch with Mercedes Benz. They did the whole presentation and Mercedes said “No. But do you guys do websites?” Of course he said yes, walked out of the office, and called two designers in Calgary and asked if any of them knew how to build a website. That’s how they won Mercedes for over a decade. That evolved into Nissan, and a myriad of other Fortune 500 companies. As Strategy Director, it’s always different. Think about how much digital alone has changed over the last 8 years. I like to tease my 10 year old daughter that she’s about the same age as the iPhone. Digital has revolutionised how we live our lives, and I have the chance to create really exciting experiences thanks to it. How do you approach creating a brand experience when working with a client? We very much believe that being customer-centric and understanding digital are key to creating any brand experience today. My role is to remind companies of that – and while I certainly appreciate and understand the business goals they come in with, we need to understand what their customer wants. That’s how we can work together to build a branded experience that customers will use, enjoy, love. Do you think clients understand the need to be customer-centric and how it applies to their organizations? Russ: I think they’re struggling. The customers I’ve primarily been working with over the last 2 years —big organizations in healthcare, financial services and technology— need to be reminded that membership experiences need to change. Customers don’t care about the limitations of your current system, and their expectations are rising because they are now used to dealing with Netflix, Uber, Shazam, and new services. When they encounter a digital experience that feels like magic, it increases their expectations for engagement and ease-of-use. And while [our clients] all want to strive to meet that, that’s not an easy challenge for those larger organizations to compete with. They are competing with organizations and startups that have embraced digital and embraced thoroughly understanding their customer’s needs. On May 23rd you’ll be presenting about your work improving the experience of American health care. Why is that something that you’re passionate to improve? Russ: It’s the last thing I thought I would be working on, and the last thing that I thought Critical Mass would be working on. It was a digital transformation project through a contact who had moved to California. My son was born without an ear —a condition called microtia— and it means I’m familiar with the Canadian and US health care systems. As a Canadian I’ve admittedly had a very different experience than most Americans. This work is an opportunity to walk into a system and see how horribly broken it is, and start offering potential solutions as to how digital can make that experience so much better. And I’ve been lucky that Blue Shield of California is a non-profit health insurer in a state that embraces health insurance. Meaning that they are open to the kinds of things we were talking about. It’s hard to think of something that impacts people as much as their health. If you’re hurt or ill, the last thing you want to do is suffer through a lengthy insurance experience. What methods or approaches do you use to truly understand what consumers want out of an experience.? Russ: A lot of it is predicting what people want and gaining empathy through storytelling. I see storytelling from a different perspective than telling a brand’s story. We need to understand the stories of our customers. We have tools at our disposal via digital to reach out to large groups of people and gather feedback on their thoughts and how they approach problems. This quantitative approach narrows down the kinds of problems we need to solve. But I’ve learnt so much using qualitative methods, by sitting and listening to people tell stories on their experiences. Often you’ll learn that within services/products, barriers were put up because of old systems and old ways of thinking, that create brutal pain points. Understanding customers stories enables you to understand how to make them better. Get your ticket(s) now to learn more about how Critical Mass, Aritzia, Briteweb, and Engine Digital are creating exceptional Brand Experiences at 5pm on May 23rd at the Vancouver Club. Russ started thinking and writing about digital experiences in the late ’90s in graduate school. His PhD dissertation was one of the first focused on digital storytelling and performance. While in graduate school, Russ joined a dot-com to lead their design and marketing team and decided that was the path to follow. Growing along with the digital industry, he has been everything from a copywriter to a group creative director while leading creative marketing teams. Clients he has worked with include AT&T, Clorox, Coca-Cola, Disney, ESPN, Infiniti, Kraft Foods, MTV, Nissan, SAP, Sony, and the United Way. Russ currently is a Strategy Director for the global digital experience agency Critical Mass. He also regularly writes on digital marketing and continues to return to universities to share his experience with students. For nearly two decades Arpy has been working with startups and corporations creating strategies to innovate their customer experiences. His strategies have validated and launched startups, enabled corporations to launch into new markets, and enabled governments to identify how to innovate their experiences. 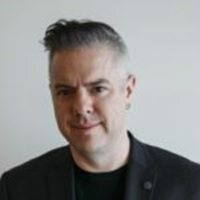 He’s worked with BC Ministry of Health, Stars Lottery, Hootsuite, VANTEC Angel Network, Sage Software, Agropur, Red Bull, Canadian Western Bank. 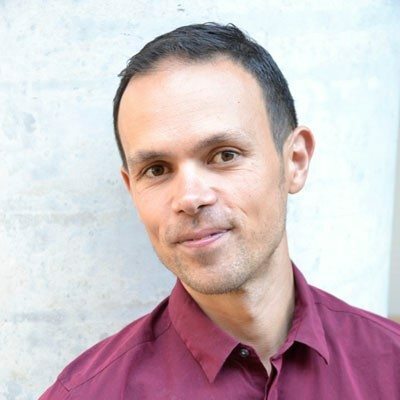 Since founding PH1 Research in 2015 he’s led a team of researchers and UX strategists to help organizations improve their digital experiences and research new projects.